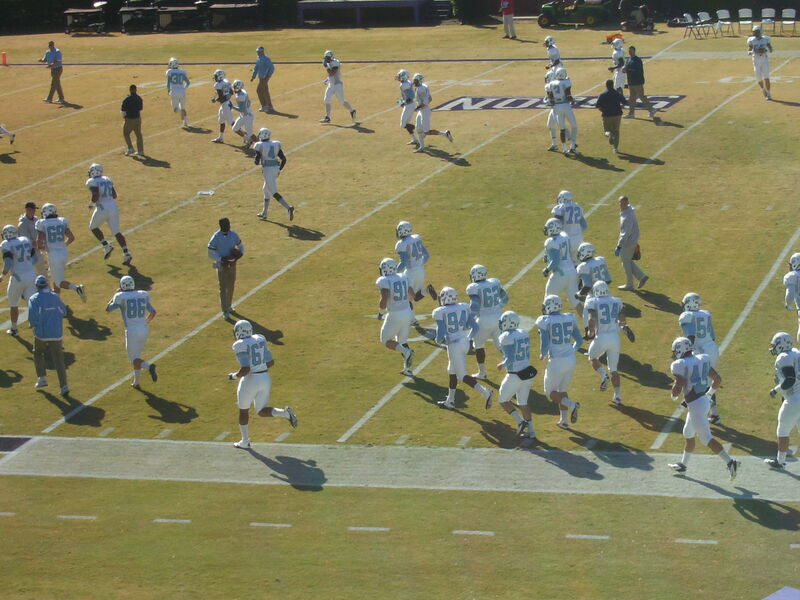 The Citadel 42, Furman 20. 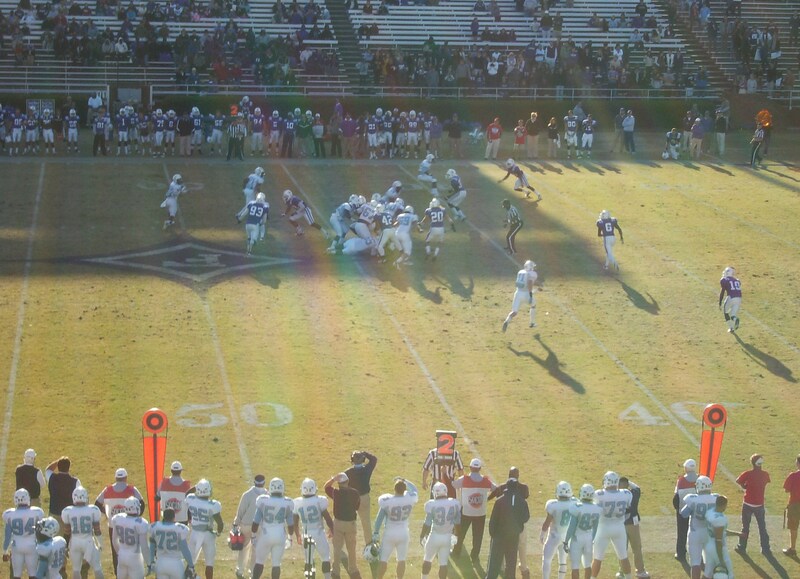 The Citadel spotted Furman a touchdown, came roaring back with some big (and entertaining) plays, hung in there while the contest was still in doubt, took a risk and was richly rewarded for it, and then finished the game in style. 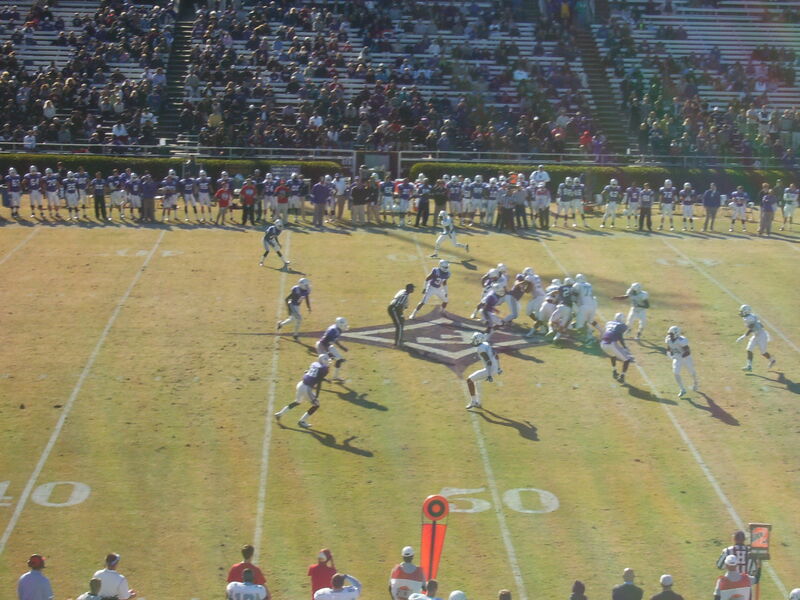 A fake punt was the key play in the game. 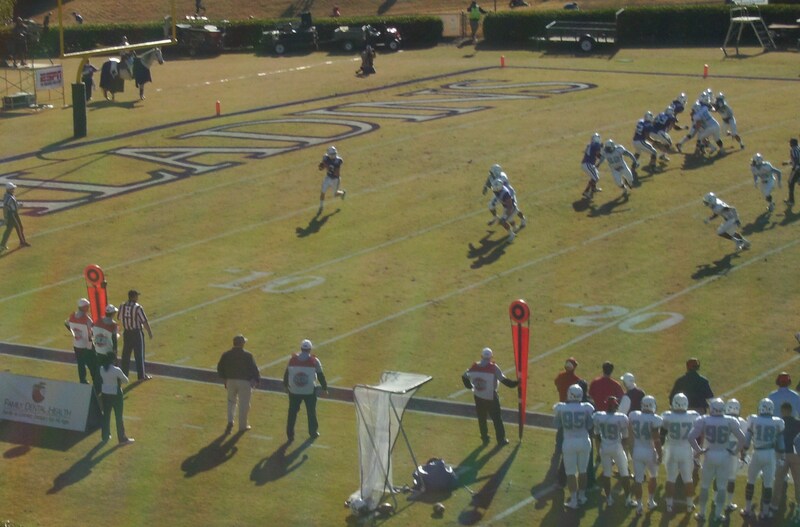 Furman’s offense had held the ball for the first seven minutes of the third quarter, settling for a field goal after a couple of outstanding plays by Mitchell Jeter (including a 13-yard sack). 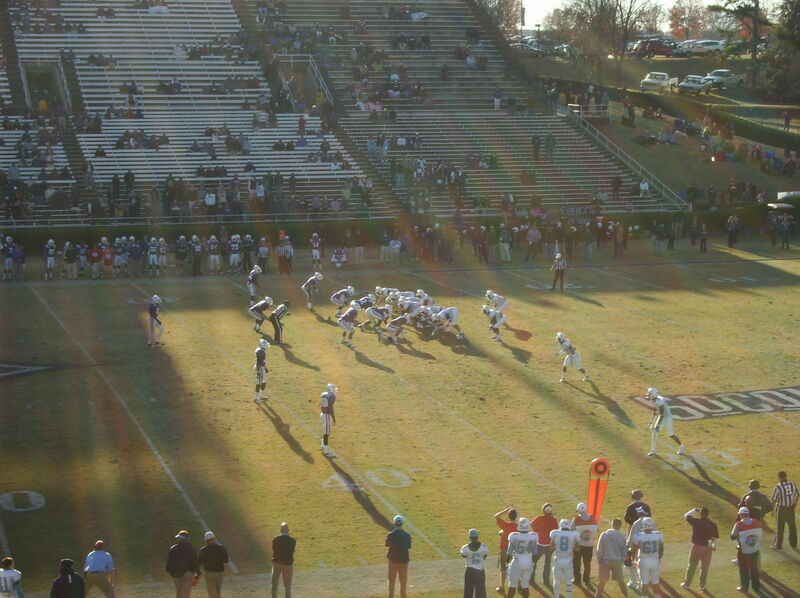 The Bulldogs’ D needed to stay off the field for a while, which is why Kevin Higgins elected to roll the dice on 4th-and-5 from The Citadel’s 30-yard-line. Cass Couey has executed fake punts before, though not in a while, but he did his part very well, and eighteen yards later the Bulldogs were near midfield with a fresh set of downs. Eight plays after Couey’s mad dash, Dalton Trevino took a pitch and raced around the left corner and into the end zone, taking out an official in the process (who was fortunate not to get hurt). 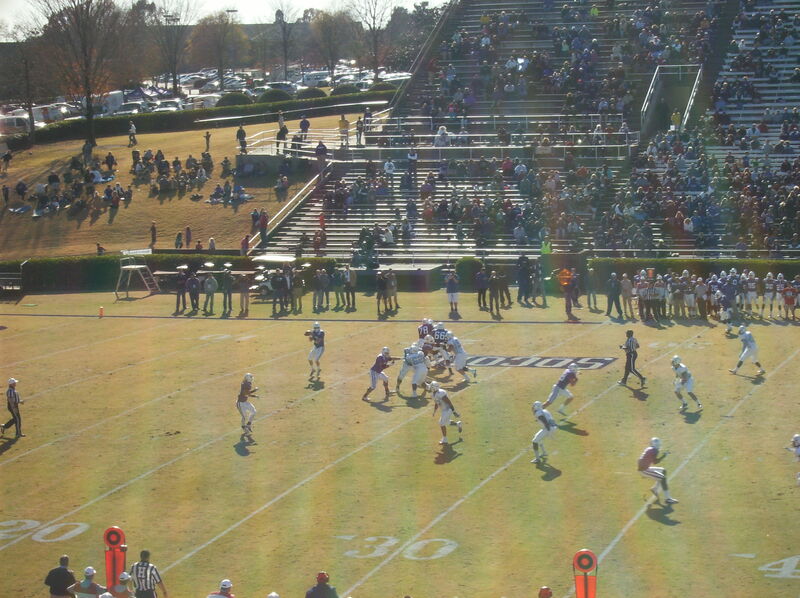 Trevino’s TD run was particularly well blocked on the outside. That made the score 28-20. 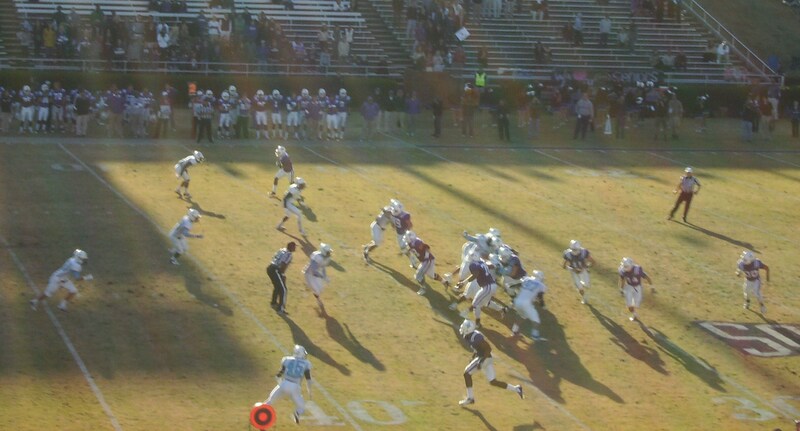 On the Paladins’ next possession, The Citadel forced a three-and-out. 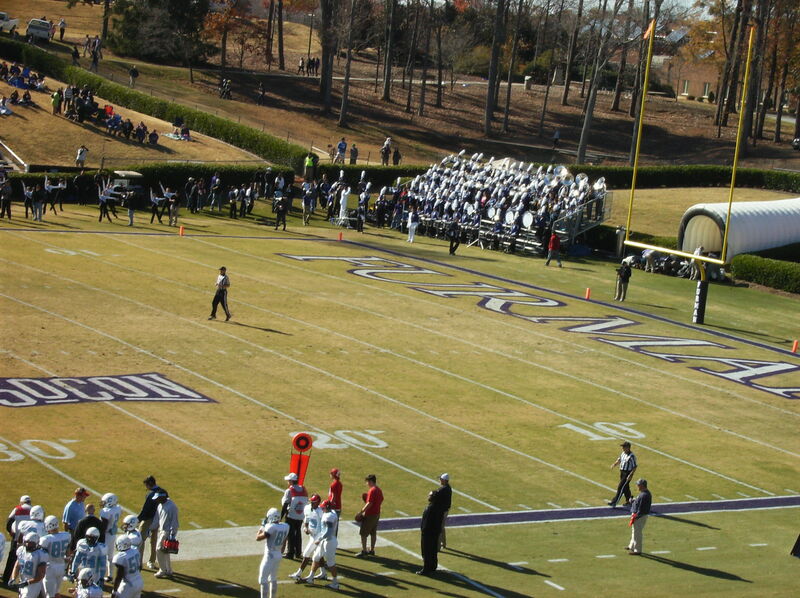 After Furman punted, the Bulldogs scored on an 85-yard drive that featured two outstanding plays by Ben Dupree. The first was a 23-yard pass completion to Terrance Martin on 3rd-and-18. Both the throw and catch were of high quality. While some observers were mildly surprised by the precise, powerful throw Dupree made to Martin, the 28-yard TD toss he made to Domonic Jones three plays later was exactly the kind of improvisational maneuver that Bulldog fans have come to expect from the Pennsylvania native, only with a twist at the end. He was going to throw, then he was going to run, then he was going to run the other way, then he suddenly pulled up and lobbed the ball into the waiting arms of Jones for an easy touchdown. That was a fun play. 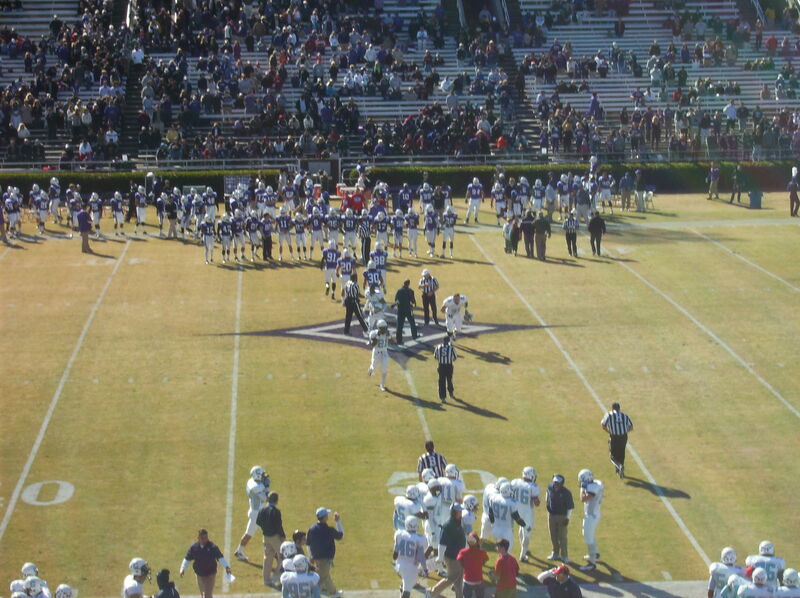 At least, it was fun if you were rooting for The Citadel. 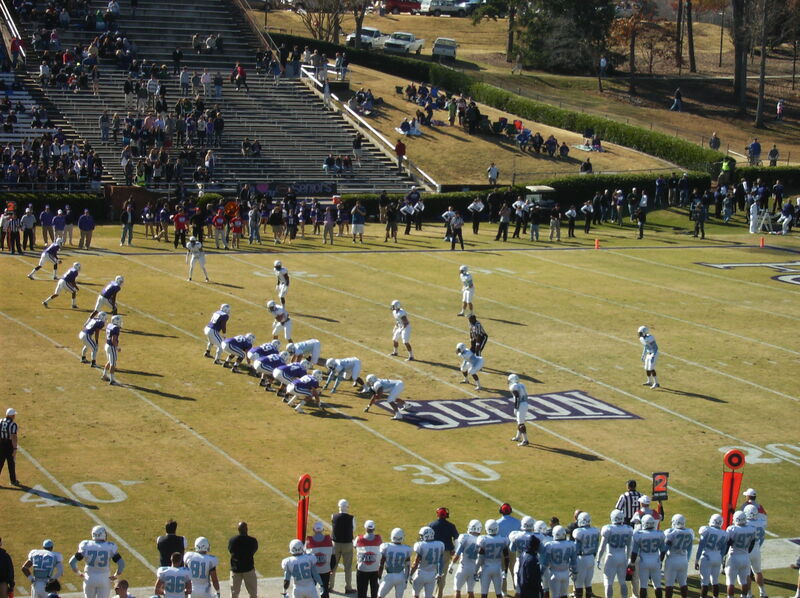 For Furman, it was more of the same, as the Paladins struggled in the fourth quarter all season. 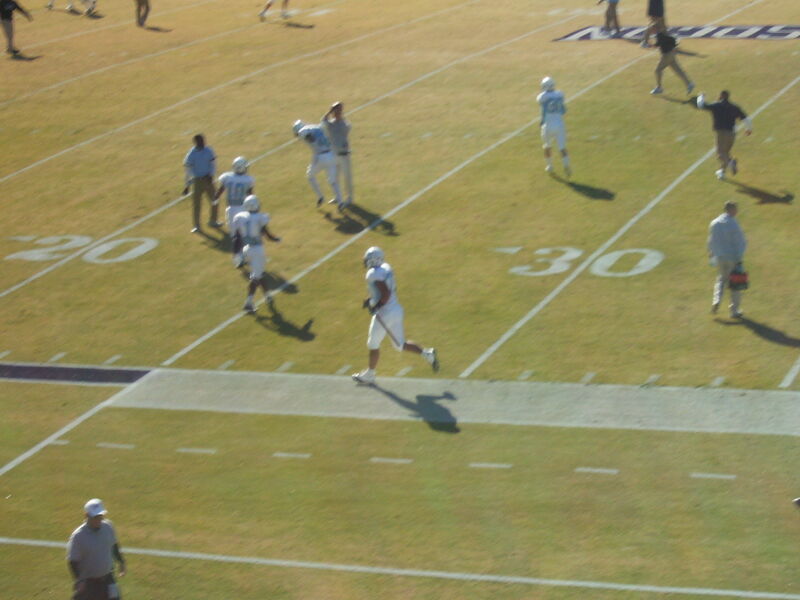 VanDyke Jones completed the day with his third touchdown of the game on The Citadel’s next series. 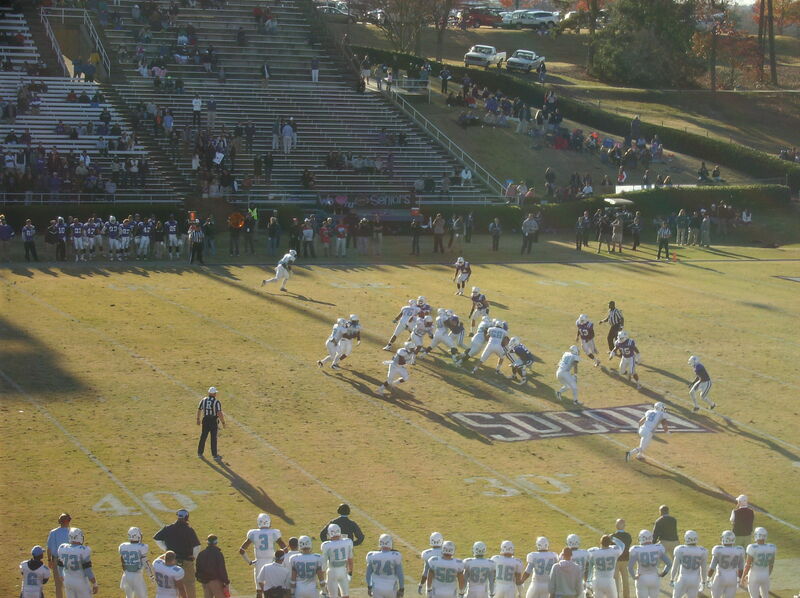 — Jerodis Williams and Hank McCloud combined to rush for 195 yards on 30 carries. 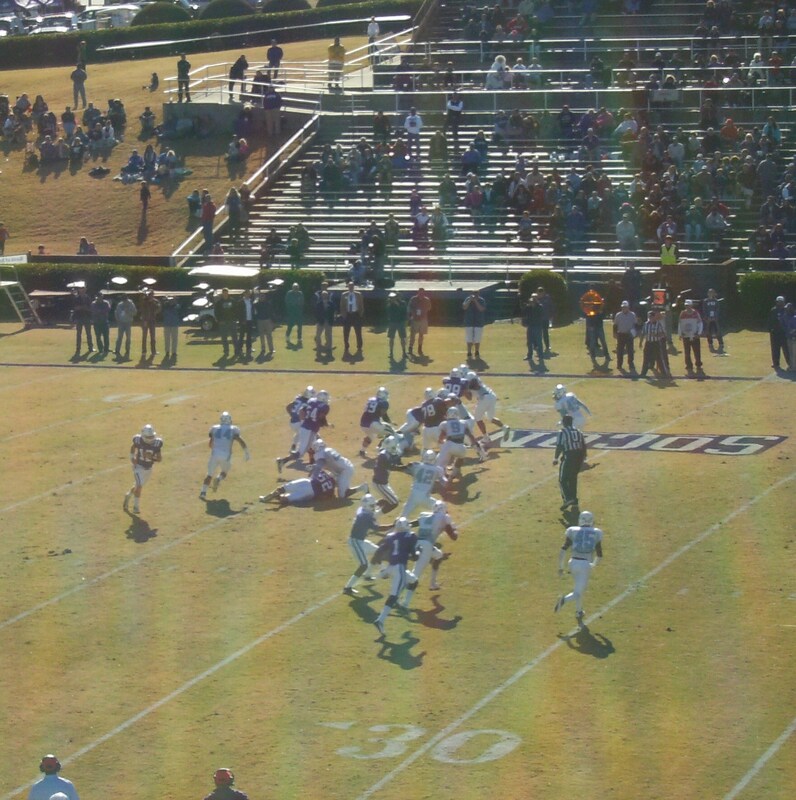 The Bulldogs had trouble all day stopping the run. 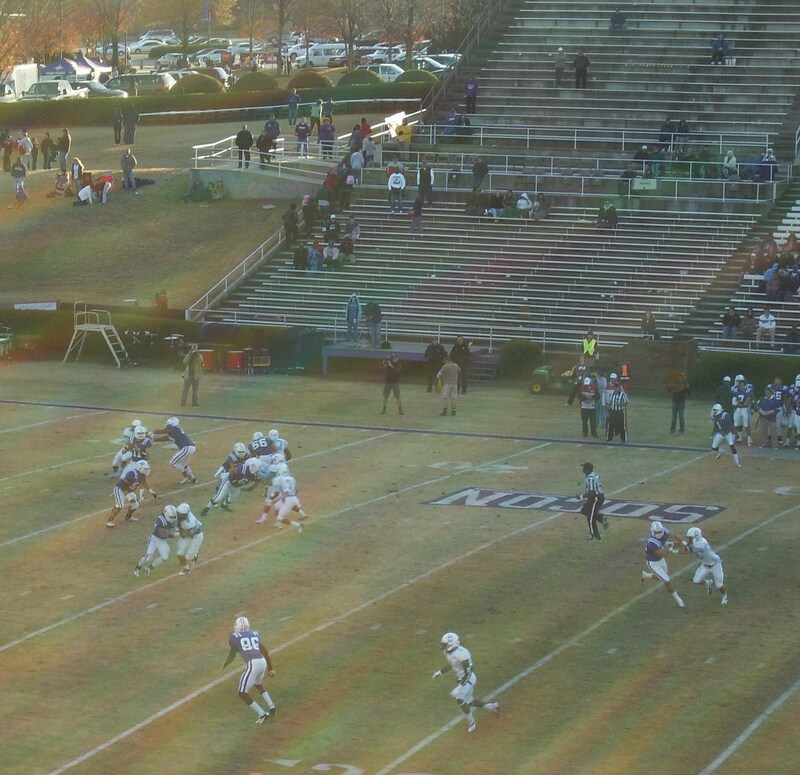 On the other hand, Furman’s passing game was ineffective, particularly after starting quarterback Reese Hannon left the game with an injury. 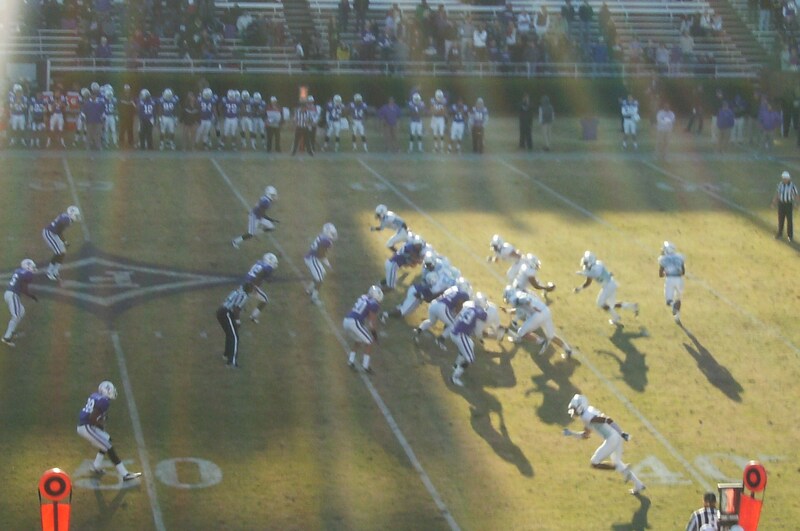 That made the Paladins’ occasional deviation from its rushing attack all the more puzzling. 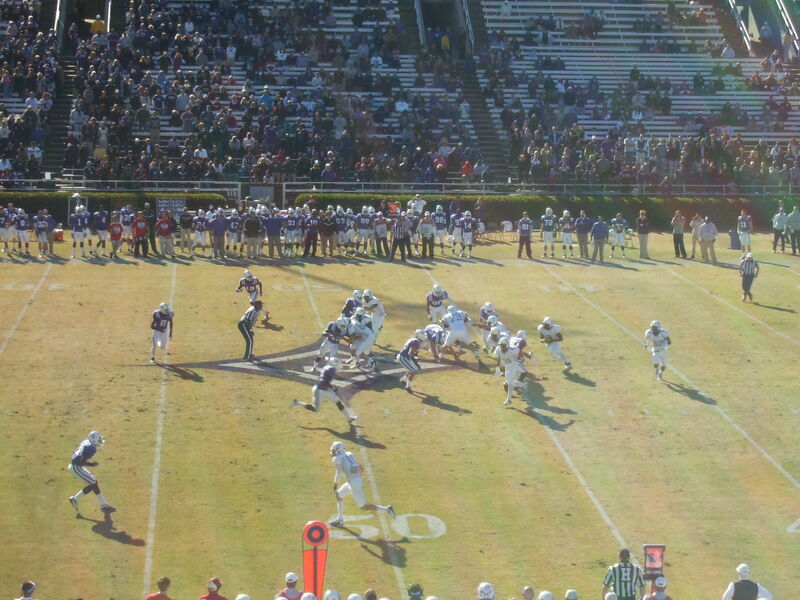 Furman had a couple of promising first-half drives that were short-circuited by pass plays gone bad. 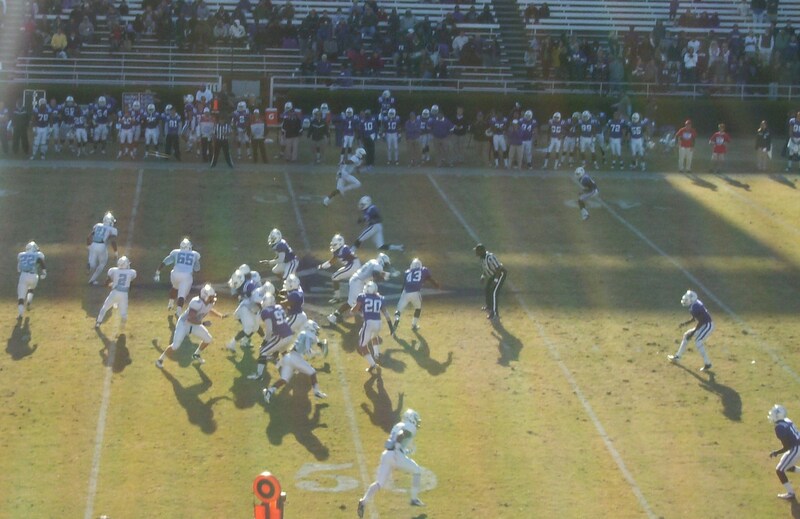 I realize that you have to mix things up once in a while, but in my opinion the Paladins should have continued to feed the ball to Williams and McCloud until the Bulldogs actually stopped them. 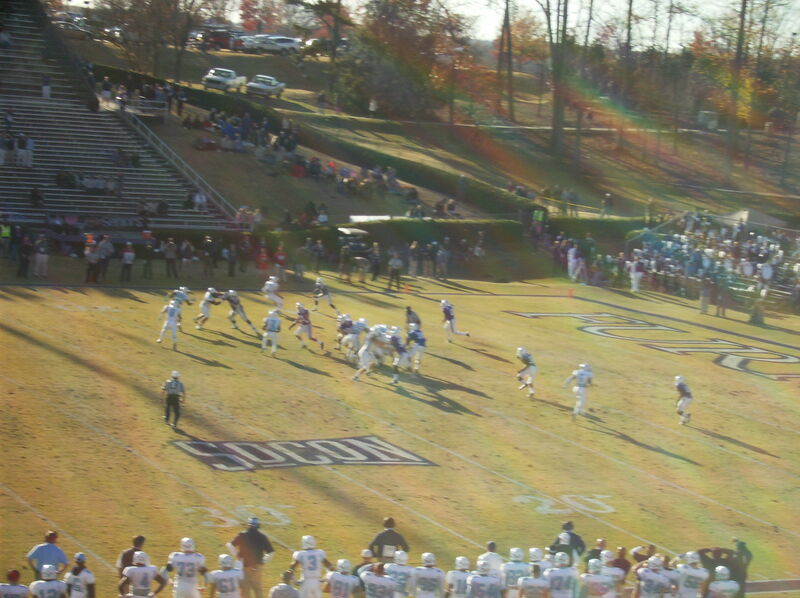 Instead, Furman seemed determined to add to Chris Billingslea’s personal highlights collection. 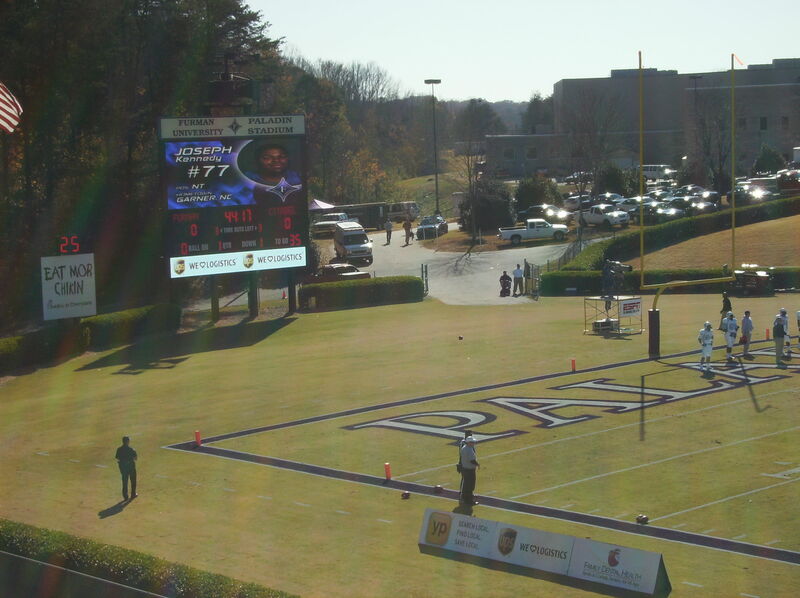 I also thought Furman gave up on its running game way too early. 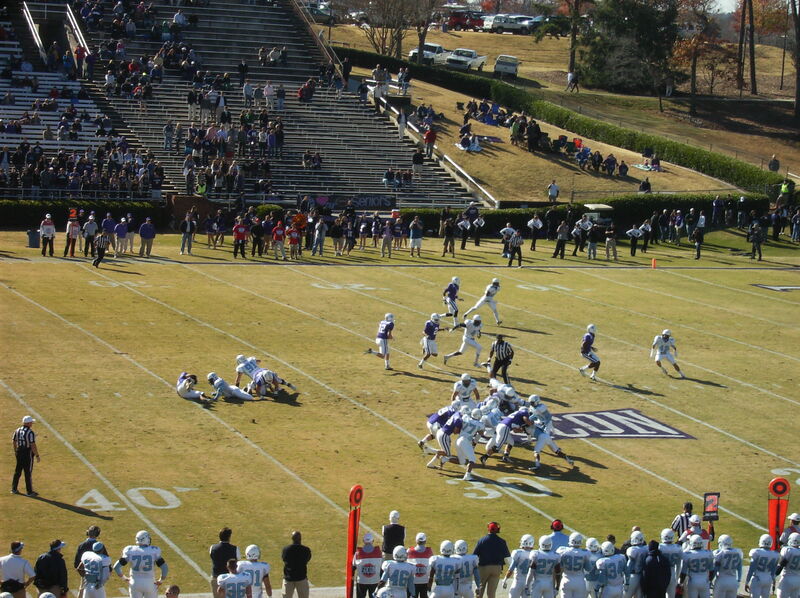 Neither Williams nor McCloud had a rushing attempt in the fourth quarter; all twelve of the Paladins’ plays in the last period (counting a play wiped out by penalty) were passing attempts or sacks by The Citadel on would-be pass plays. 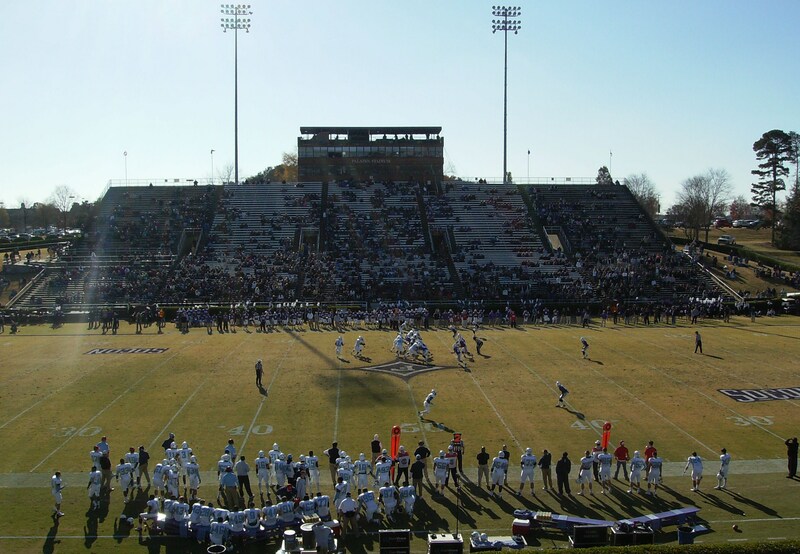 — While The Citadel has had its own issues with home attendance, the Bulldogs enjoyed a lot more support this year than did the Paladins. 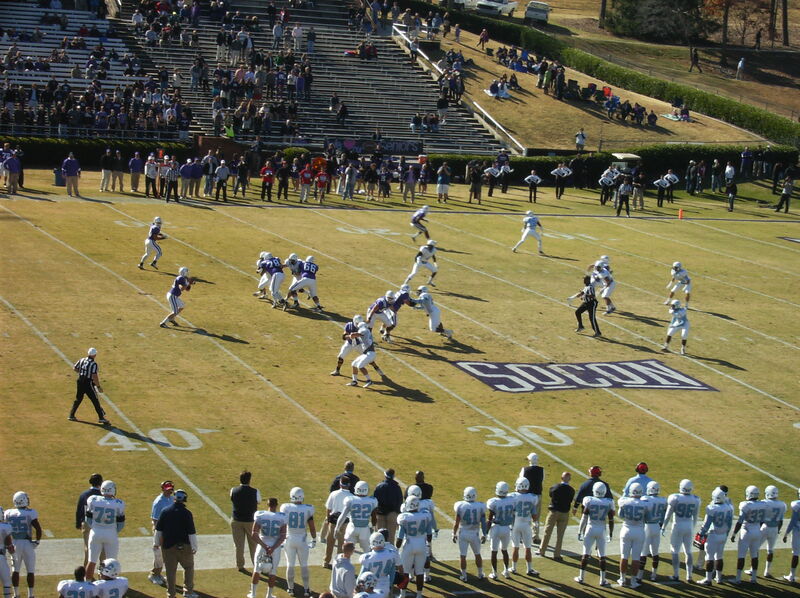 Furman averaged just over 9,000 fans per game this season, with Saturday’s finale drawing a crowd of 8,127. 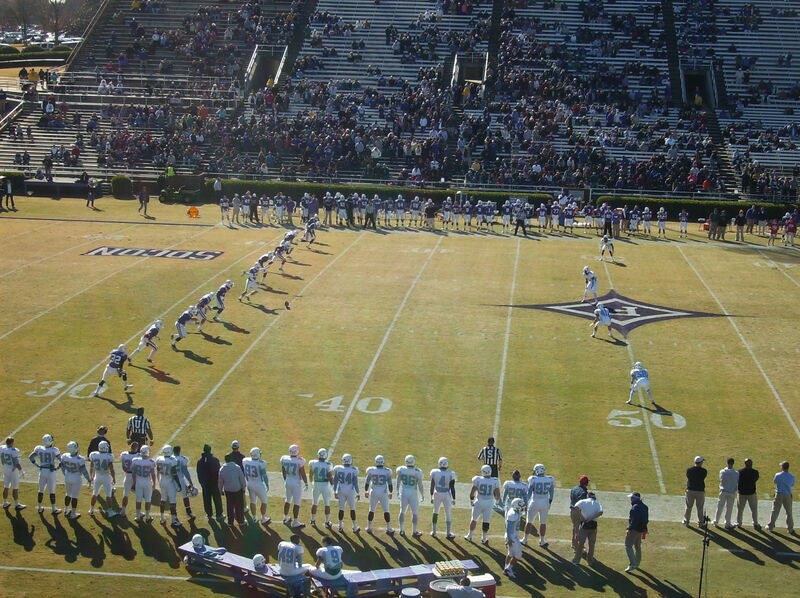 A significant number of those in attendance were wearing blue and white, and they made themselves heard all afternoon. 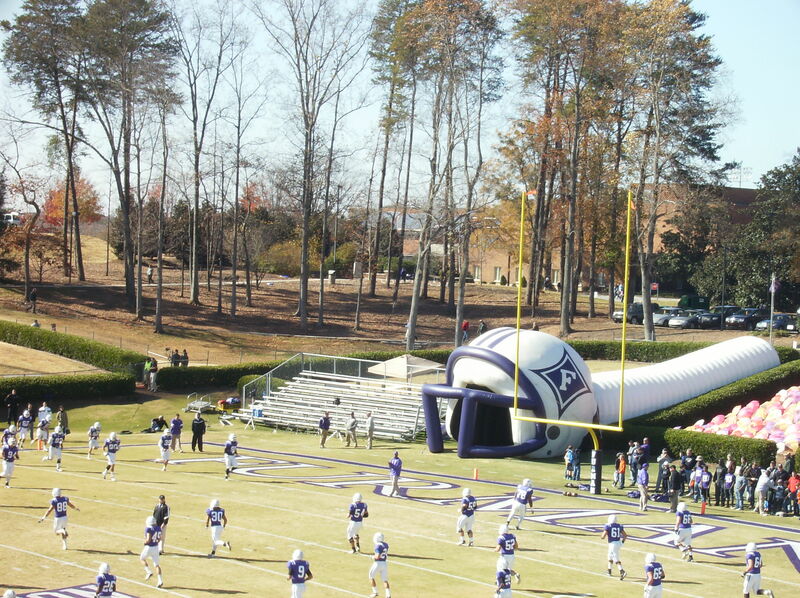 — Furman is building a new football complex. As part of that effort, the current press box is being demolished. 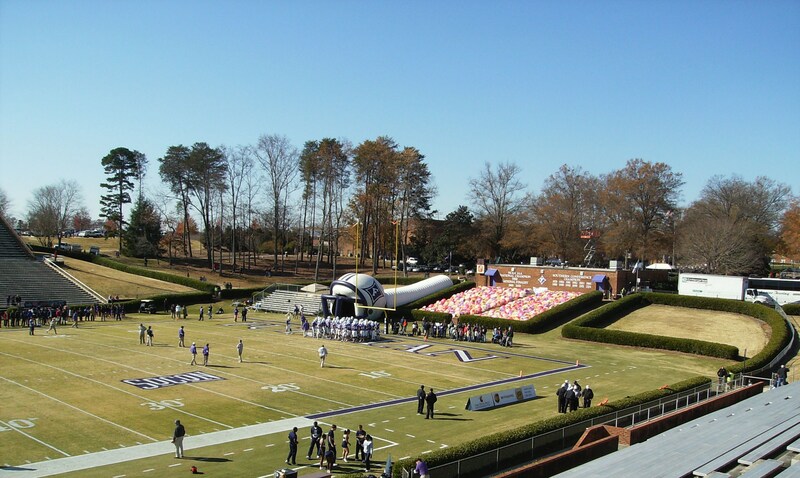 …[The building is] essential…in terms of Furman’s efforts to be competitive in Division I and the Southern Conference. 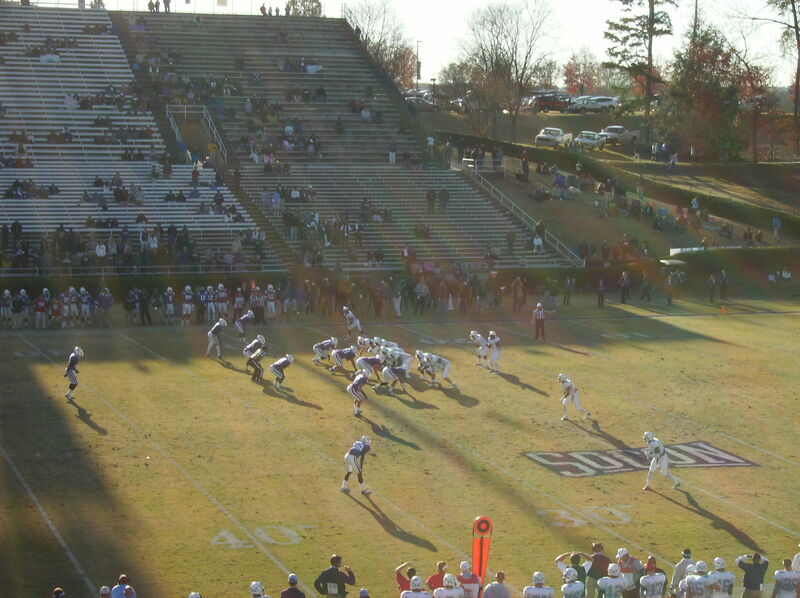 In recent years, every other conference member has upgraded its athletic facilities. The facility is scheduled for completion in late 2013. 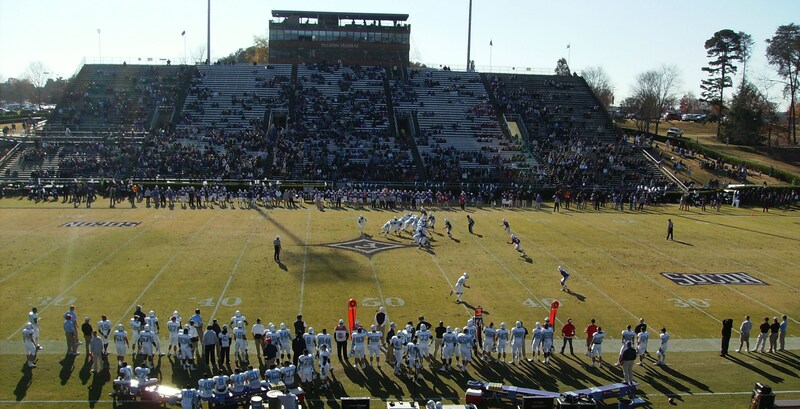 — The last three times the game between Furman and The Citadel has ended the regular season, the Bulldogs have won, which could be a annoying fact for some members of Furman’s sports information department. 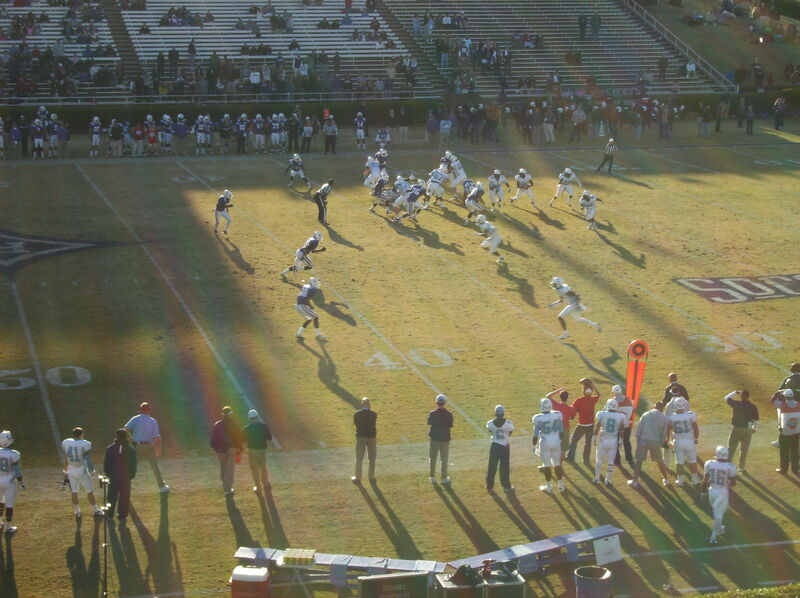 As I outlined in my preview, the matchup cannot be the final game of any season in which The Citadel is the home team. 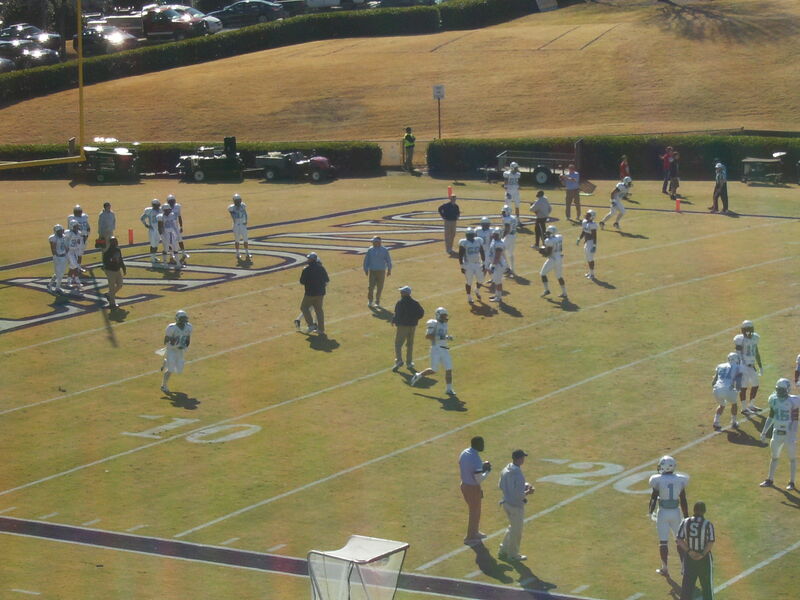 As it happens, the Bulldogs will close their 2013 regular-season campaign at Clemson (which, by the way, is the opponent Furman has ended its season against the most times). 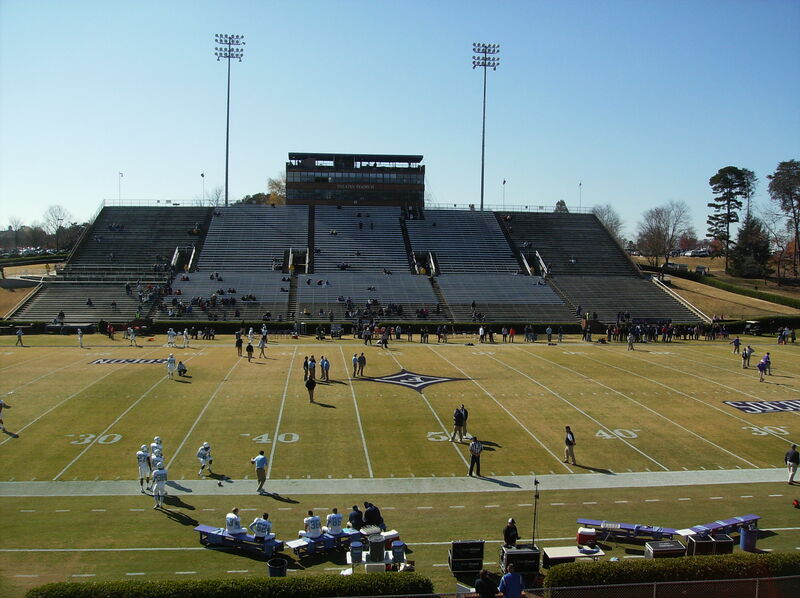 I would not put a lot of money on Furman vs. The Citadel being the season finale in 2014, either, but we’ll see what happens. 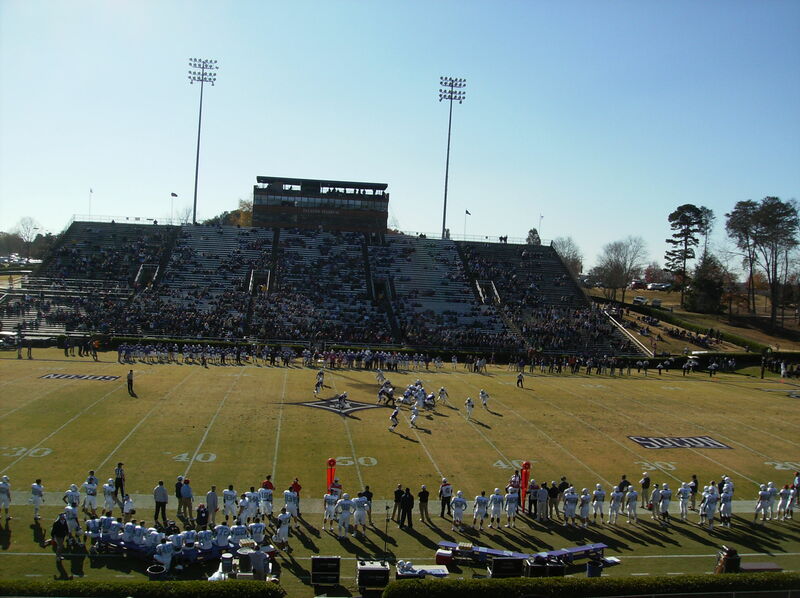 There was some hope that the Bulldogs could garner an at-large bid to the FCS playoffs. That didn’t happen. Looking over the bracket, I don’t have an issue with The Citadel not making the field. 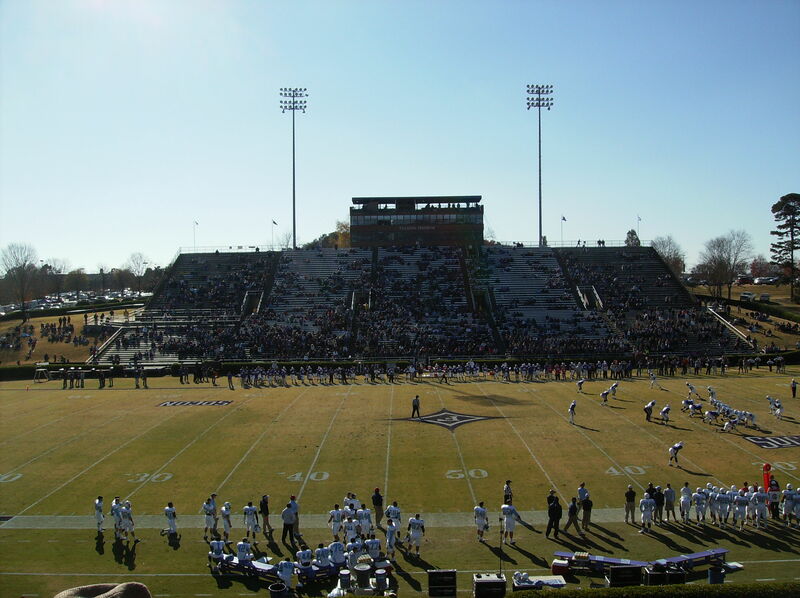 I would have been disappointed if the Bulldogs were left out at the expense of a team like Lehigh (the Mountain Hawks fashioned a 10-1 record against a tissue-soft schedule), but the teams that did get selected all brought something to the table. The last two at-large teams in the field were South Dakota State and Stony Brook. The latter school is one of two Big South entrants into the field, which does raise a question, since the Big South is not a strong league (and there are only seven teams in it). 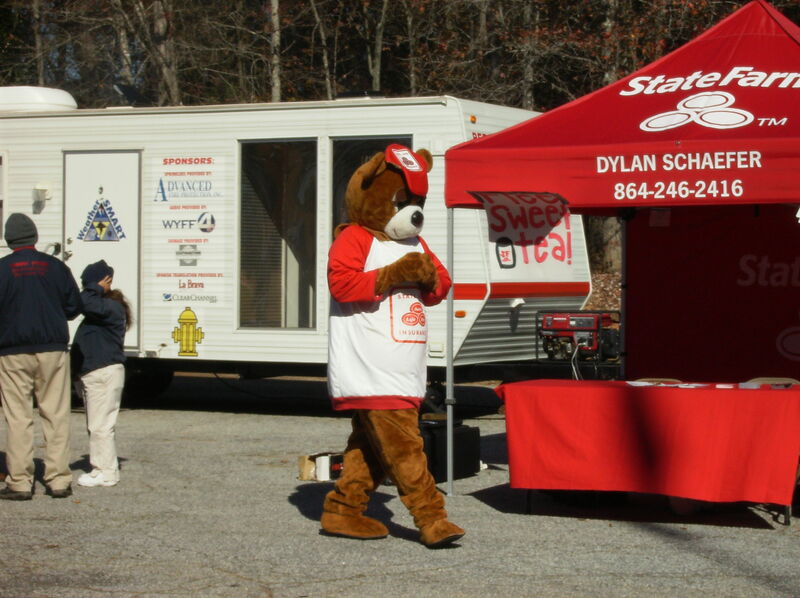 However, I understand why the selection committee took the Seawolves. Stony Brook played two FBS schools this season, and won one of those games, beating Army. Admittedly, the Bulldogs of the Hudson are not a good team, but SBU won the game by twenty points. Stony Brook also played very credibly in a loss at Syracuse (28-17). 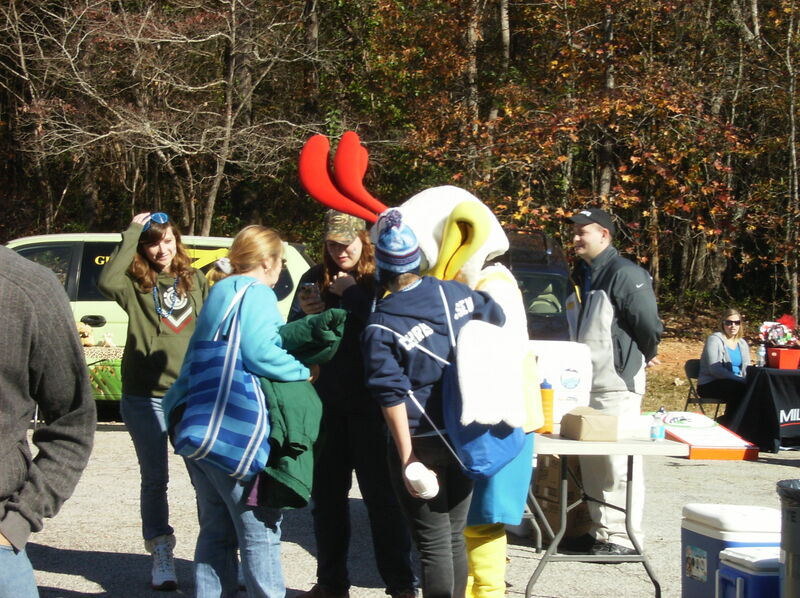 I suspect that the Seawolves are a very good team that had one bad afternoon (at Liberty). I thought the only curious decision the committee made was taking New Hampshire (and giving it a bye) instead of Towson. 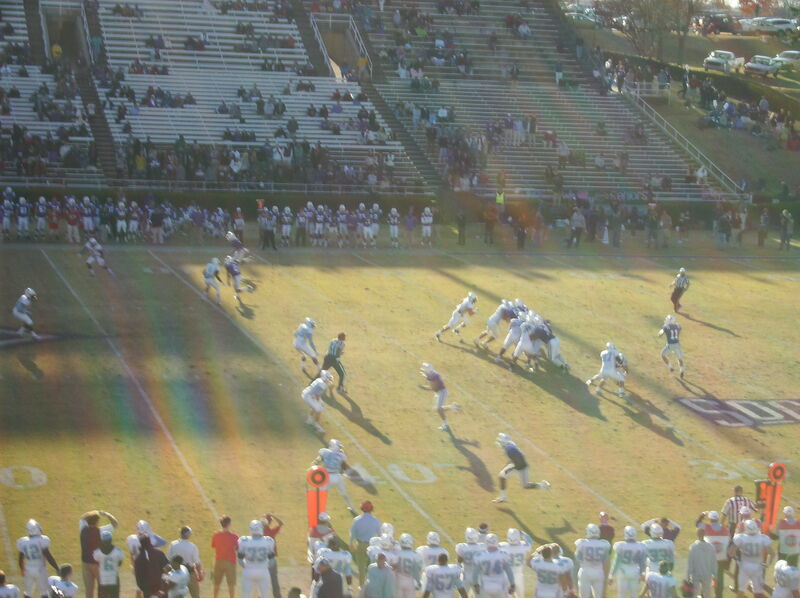 I think that was probably a mistake, but it doesn’t really affect The Citadel, since the CAA was going to get at least three teams into the field one way or another. Next year, the playoff field will increase from 20 to 24 teams. I am not sure the Bulldogs would have landed in a 24-team bracket this season. It would have been very close. I’m sure the players are mildly disappointed at not making the playoffs, but they shouldn’t be. This was a successful season for The Citadel, and having it end with a 22-point victory over Furman in Greenville seems more than appropriate. Next year appears to hold a lot of promise on the gridiron for The Citadel, but there will be plenty of time to discuss that. Too much time for a lot of people, I’m sure. For those players who have completed their football careers at The Citadel, many thanks for providing a lot of good memories, especially this season, even if it were at times a bit of a rollercoaster ride. One more round wound up having a good taste to it.